After almost a decade in the marketing and publishing industry, Greg Mason shares the common mistakes publishers make and how they can sustainably grow their audience. For most publishers, increasing the number of their website visitors is a key priority. This is not an easy task and I have seen several publishers fail to take really important steps to do this sustainably. They end up with volatile numbers and fail to nurture a loyal readership. The tips I’m about to share are best practice and they’ll help you increase your website visitors that keep coming back to your site. As a blog you ideally need to be posting a minimum of 5 articles a day of relevant and valuable content for your target audience. Online publishing is like driving a car, when you take your foot off the gas it will slow down. Doing this consistently will encourage your readers to come back regularly and trust that you will have fresh content for them. 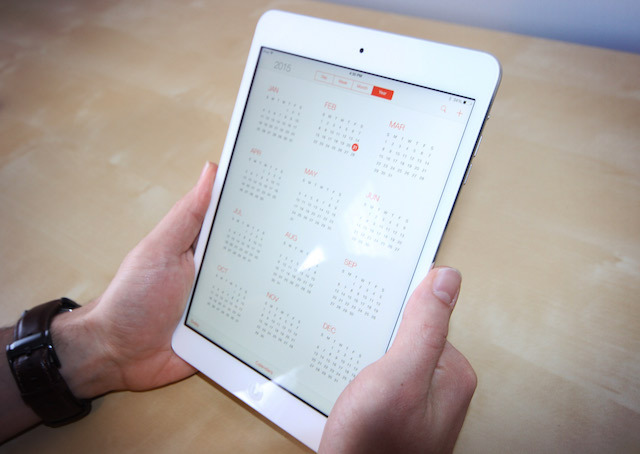 A great way to make this easier for your team is to manage your content with a content strategy and content calendar, so you know what and who you’re publishing for and when. Plan ahead and keep your content consistent, whether you’re using pen and paper or an Excel spreadsheet. Make sure you have a good mix of content. You should have a mix of longer, more in-depth articles, short easy reading articles and videos and pictures. This keeps your website fresh, interesting and engaging. Try including more pictures and videos in your content and see how they perform. Take a look at Canva for simple graphic design software. Distribute your content across your social media channels. 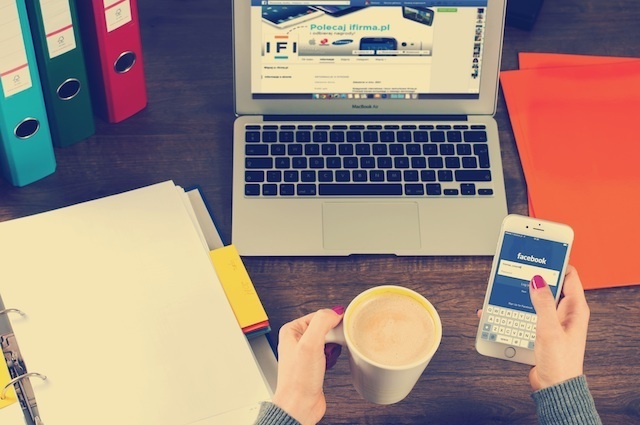 If you aren’t already, share all content using social media. The trick to this is to prioritise social media channels that your target audience use regularly, and to use scheduling tools such as Hootsuite or Buffer to make the distribution easier and timely. Push social media followers to your site. Give teasers on social media and link that to the full articles on your site. Your social media channels should act as pathways for people to ultimately land on your website. The same goes with your email marketing and paid advertising. Include links in your social media posts that lead visitors back to your website. Actively acquire social media followers. Increase the reach of your content by having more social media followers, but don’t just focus on the numbers increasing. There is no point having thousands of followers if most of them aren’t your target audience. Start by adding social sharing buttons to all your content and promoting your social presence everywhere from your blog to your email signature. If you’ve got connections with other websites or brands with similar target audiences, collaborate with them. Create an email subscriber base. Subscribers are loyal to your website and they are more likely to consume more of your content than non-subscribers. Keep them engaged with targeted, relevant, weekly mailers. Make it easy for your visitors to subscribe to your content, and check out Campaign Monitor or MailChimp for simple and cost-effective email marketing software. We send emails to our subscribers the same day we publish content. Try push website visitors around your site as much as possible. At the end of articles, recommend other relevant articles on your site that readers might enjoy. Include links throughout your content to encourage them to explore more and spend more time on your website. Make sure your SEO is in order. Organic traffic is still a major contributor to website traffic and if you neglect this you will be swimming upstream. Spend the money and get a professional to do your SEO properly. Take a look at the Moz Blog for some great SEO best practice tips. 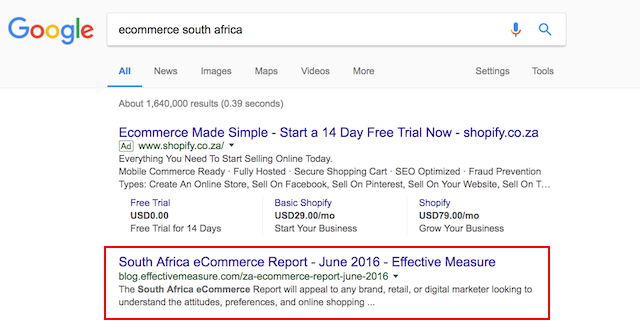 Our South Africa Ecommerce Report for 2016 is #1 for the search result ‘Ecommerce South Africa’! Have a clean and simple site. Keep your layout tidy with neat columns and good flow. I know this sounds basic but it is astounding how many websites get this wrong. An appealing user experience will keep readers coming back to your site. People love to share their opinion. Run polls, get their comments on articles and make the tone of your site approachable and engaging. Last but not least, the Narratiive dashboard is an industry standard tool for publishers in the Middle East and South Africa. 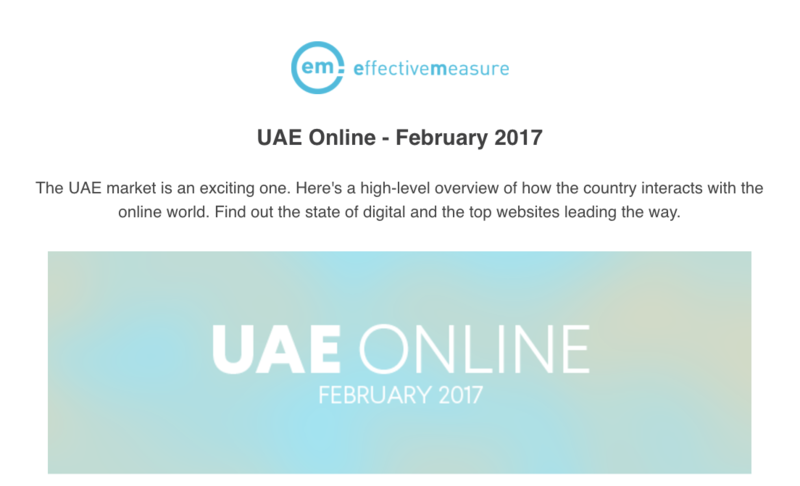 It helps you understand how your site is performing compared to your competitors and detailed demographic data of your website visitors. Understanding your target audience is key to your success in content and social media marketing. Get in touch with our team to book a free demonstration. Greg Mason is Narratiive’s Country Manager for South Africa. He has extensive experience in both the publisher and advertiser side of online advertising, having worked with large international publishers like MSN, BBC, CBS Interactive, Sky News and Times Lives.